GOOALLLL!!!! It looked like Mueller had tapped in a fantastic cross in from Coman... but on second viewing, it looks the German missed it entirely! Coman had been played into space on the left by Gnabry, and whipped in a fiery right-footed cross that found it's way into the back of the net! Fortuna 0-1 Bayern. GOOOALLLLL! Bayern get a second just before the end of the half! 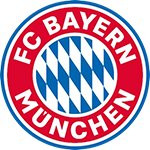 It was very well worked with Kimmich sprinting down the touchline and then cutting the ball back to Coman who was stood on the spot and hit the ball into the top-left corner to double the visitors' lead! Fortuna 0-2 Bayern. GOOOALLLL!!!! Bayern score their third! Thiago whipped in a cross that Mueller flicked on to the back-post where Gnabry tapped it in from incredibly close range! Three goals from Bayern wingers today as they continue to transition away from the Ribery and Robben era. 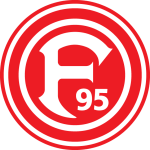 Fortuna 0-3 Bayern. GOOALLLLL!!!! Lukebakio makes an impact from the bench as we expected pre-match! He stepped up from the spot and slotted a left-footed effort into the bottom-left corner with Ulreich diving the other way. Is it too little to late from the hosts? We'll see! Fortuna 1-3 Bayern. GOOAALLL!!!! Bayern seal the win and the points! Lewandowski lifted a cross into the box that dropped to the floor where Goretzka tapped it home from close range! It was a fortunate bounce for the visitors but the midfielder did well to bury the chance. Fortuna 1-4 Bayern. Borussia Dortmund had unseated Niko Kovac's men on Saturday after edging past Mainz, but the Bavarian giants restored their one-point advantage thanks to a double from Kingsley Coman and a Serge Gnabry strike.